Caltex Polymers supplies an entire range of Cocoa Powders by using Cocoa Cakes which are sourced in origin countries. Our innovative technology and a fully computerized production process guarantee the consistency of quality needed to meet the individual requirements of our customers. 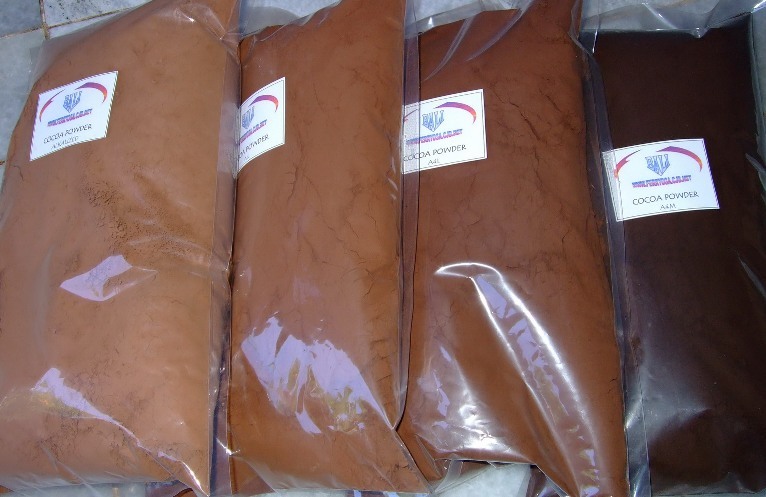 Our Cocoa Powders range from the natural type, and from the light, medium and strongly alkalized types, to ultimately different kinds of red and black colours. For all our Cocoa Powder types, we have the manufacturing flexibility in place to adjust fat content, fineness and pH to the individual customers standards. Prior to producing the various types of Powder, we make a careful selection of Cakes from different origins and blend them in order to obtain the desired colour and flavour profiles. Our Cocoa Powders are being used in many main brands, all around the world.